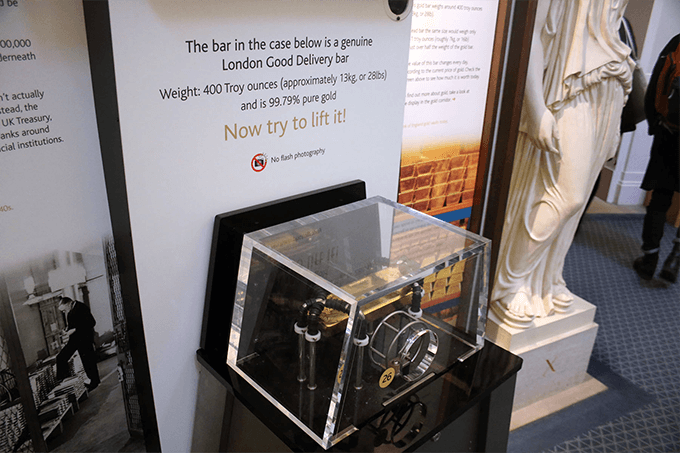 One of the main attractions at the Bank of England museum gives visitors the opportunity to lift a genuine gold bar, a unique exhibit in London. This London Good Delivery bar is one of only two owned by the bank. The rest of the bars in the vaults beneath the museum belong to other people – there for safe keeping. 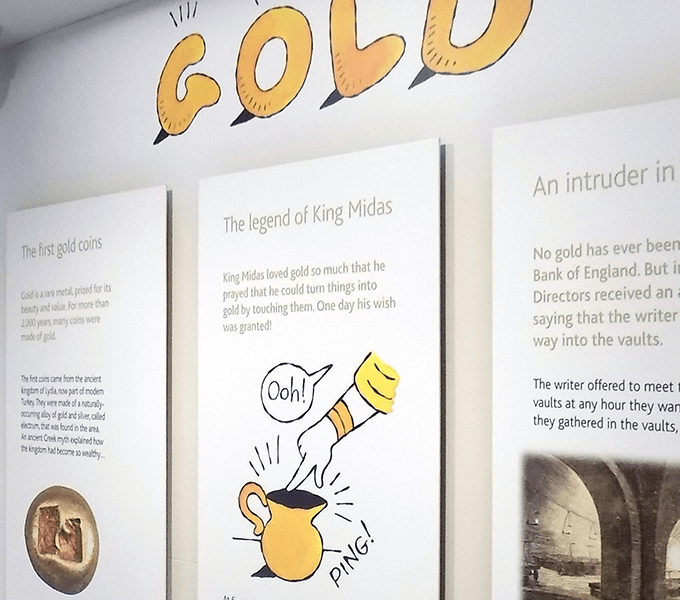 Following our re-design of the gold bar interactive area we were commissioned to refurbish a narrow corridor to create a display telling the story of gold at the Bank. 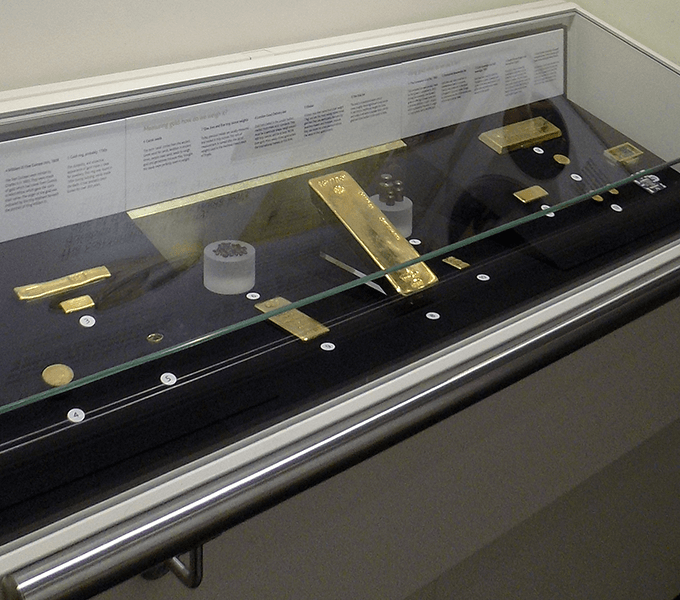 As part of this project we specified an extremely secure display case for the gold bars and items on display. 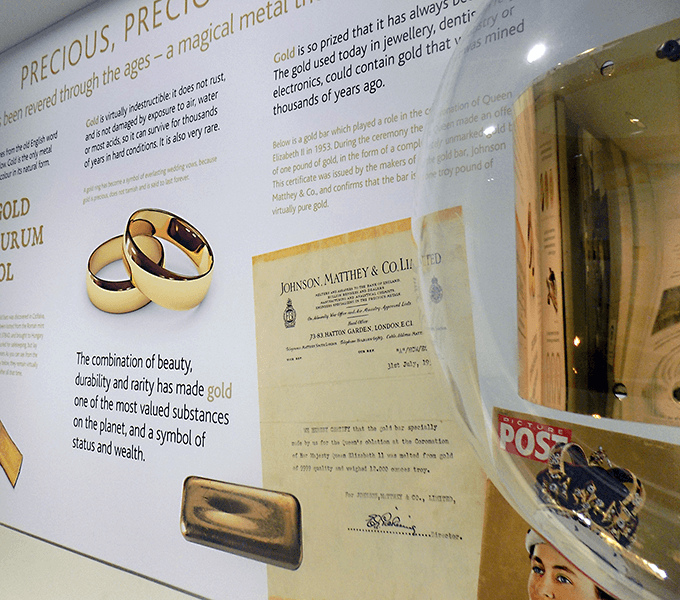 Graphic panels display facts and stories about gold and the Bank’s gold vaults. 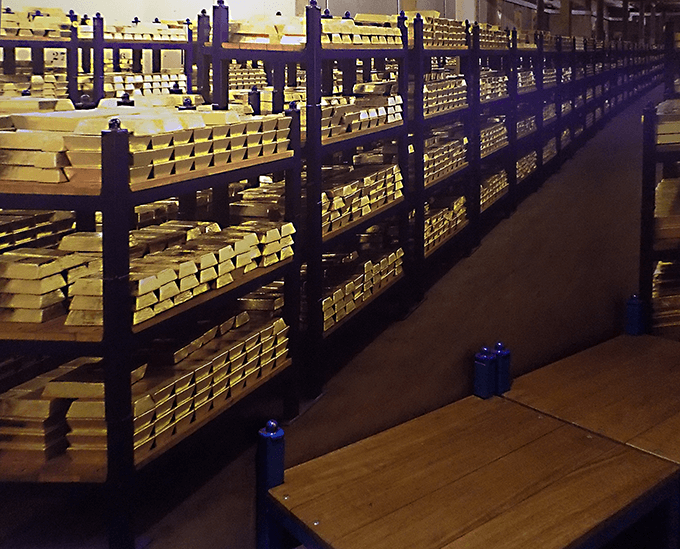 For the main wall we created a large graphic showing the inside of a gold vault. 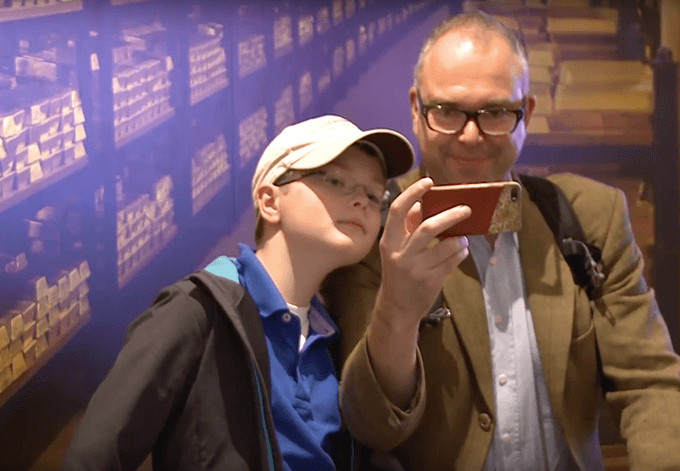 Visitors are encouraged to post their selfies taken in front of this wall using #GoldVaultSelfie. We worked with Erco to design an appropriate and energy efficient lighting scheme. The area also includes a 10 minute film on gold narrated by Stephen Fry, and a bench made from a palette used to store gold bars.